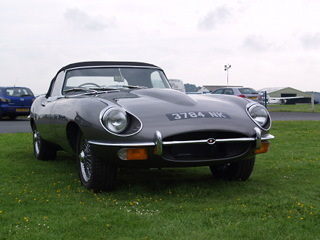 PARTS AND ACCESSORIES:- As a totally independent company, with many years of experience sourcing spares from all over the world we are able to supply new, reconditioned and rare used items for your classic vehicle. We also remanufacture an increasing portfolio of components utilising modern manufacturing techniques and materials for improved durability and quality. CARS FOR SALE:- We usually have a selection of cars sale. Please check for cars that we currently have available. We are also able to source the vehicle of your choice from our worldwide connections within the Jaguar trade. We also undertake sales on a commision basis for our clients and would welcome any such vehicles that you may want us to offer via our web site and general advertising in the classic car media. WEB SITES FOR SALE:- We have a number of domain names registered to A J AUTOCRAFT. Some of these names may be available for sale and transfer. Please register your interest via our email contact".